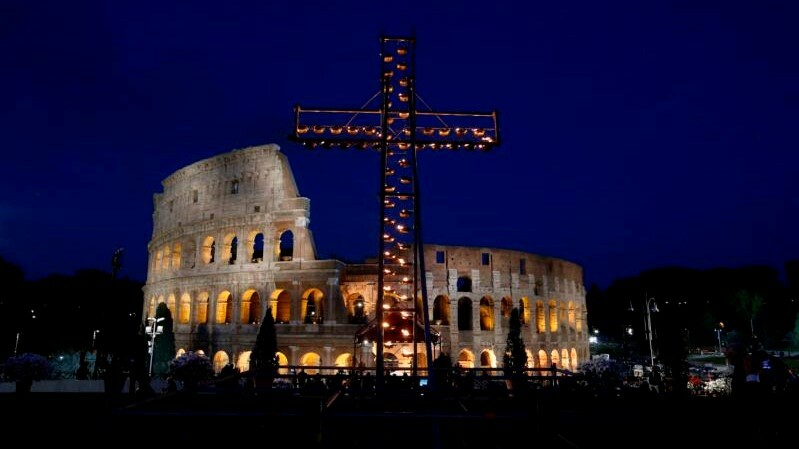 Over the past few weeks a debate has erupted around Pope Francis’ apostolic exhortation Amoris Laetitia. Four cardinals went public with five “dubia,” or questions about what they see as ambiguity and confusion in the papal teaching, especially related to the question of whether or not a divorced and remarried Catholic can receive Communion (a fifth cardinal has since expressed support for the dubia). 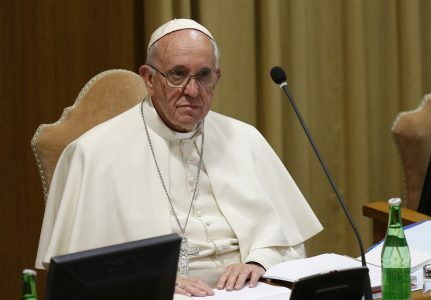 They asked the Holy Father to respond directly, essentially giving him an ultimatum, whereby a formal act of correction of the Pope would be issued if he failed to comply with their request. 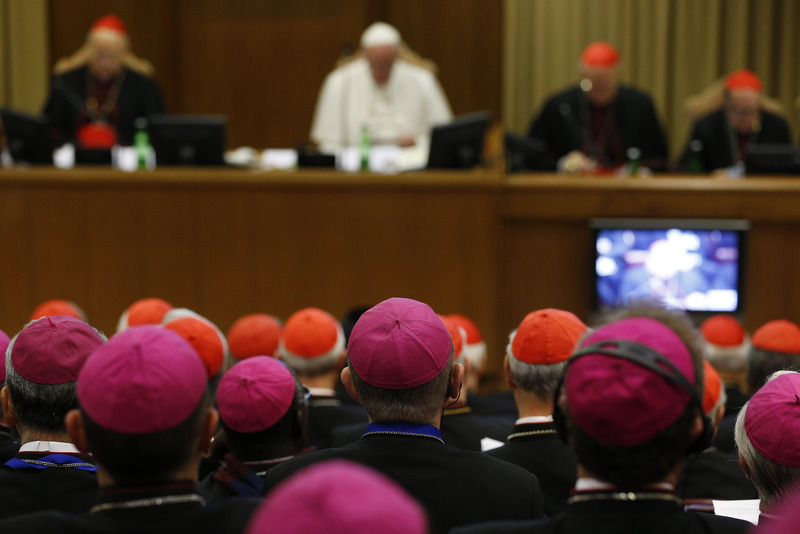 Though most Catholics are oblivious to, or disinterested in the intricacies of the debate, it is clear that these few cardinals—together with a small minority of Catholics, mostly in North America—feel very strongly about the issues raised. No one should doubt their sincerity in the matter. And while a good argument can be made for why Pope Francis will not respond to the cardinals directly, Catholics should educate themselves about the debate and try to understand what's at stake, and what Amoris Laetitia (“AL” for short) is all about. I would like to contribute in a small way to this discussion here, first by providing some context for understanding what is happening, and then by sharing some reflections on why Catholics shouldn’t be afraid of AL and the direction Pope Francis is leading the Church. 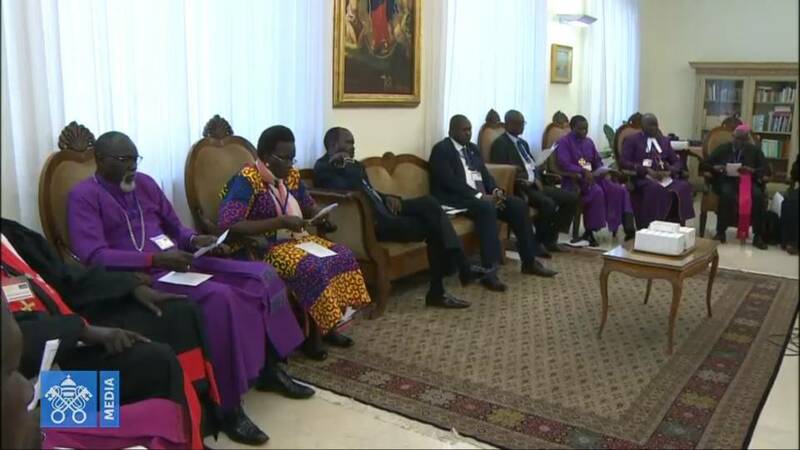 AL is the official papal teaching that concluded the two-stage Synod of Bishops on the family in 2014-15. It's a 250-page dissertation on love within the family unit and the contemporary challenges it faces. As is typical of Pope Francis, the language is very accessible and the approach is pastorally sensitive. "In certain cases, this can include the help of the sacraments. Hence, “I want to remind priests that the confessional must not be a torture chamber, but rather an encounter with the Lord’s mercy” (Apostolic Exhortation Evangelii Gaudium [24 November 2013], 44: AAS 105 , 1038). I would also point out that the Eucharist “is not a prize for the perfect, but a powerful medicine and nourishment for the weak” (ibid., 47: 1039)." Though not stated directly, with these words it appears Pope Francis has opened the door to the possibility that in some rare and exceptional cases, a person who is divorced and remarried (ie. living in an "irregular situation") could receive Communion and other sacraments. This is of concern to the four cardinals, who realize that previous papal teachings, especially from John Paul II categorically excluded this as a pastoral possibility. Note that neither of these sections of John Paul's exhortation Familiaris Consortio (“FC”) was quoted in Pope Francis' AL. Note also, neither were these sections quoted by the bishops in their final synod document in October 2015—the primary document on which Pope Francis based his exhortation AL. We have to conclude, therefore, that a simple restatement of John Paul’s teaching of exclusion of divorced and remarried Catholics from the Eucharist was deliberately avoided by the 2015 synod, and Pope Francis followed suit. 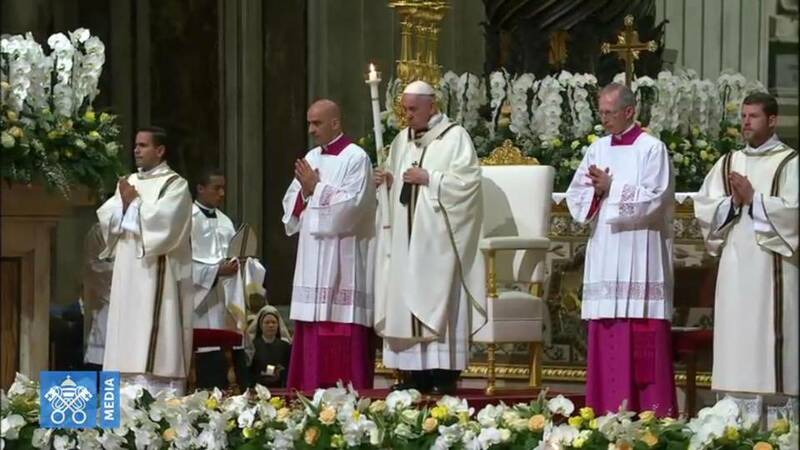 Some commentators have said there is a difference in the degree of authority between FC and AL: that John Paul's teaching was "doctrinal," while Francis' is "pastoral." It’s true that AL is proposed—even by Francis himself—as a “pastoral” teaching. 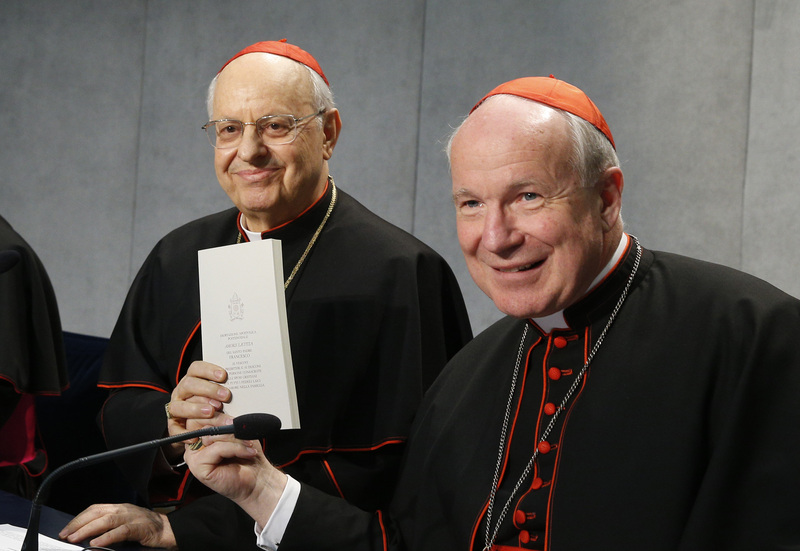 But both documents are of the same magisterial stature: post-synodal apostolic exhortations. And beyond this, as Fr. 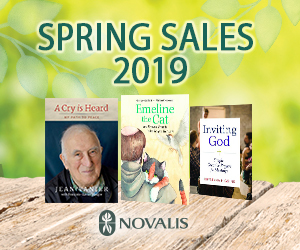 Antonio Spadaro—Director of La Civiltà Cattolica and a Jesuit very close to Francis—recently noted, "Doctrine without the pastoral element is a ‘clashing cymbal’." In other words, the pastoral component is precisely the other side of the doctrinal coin; the two are inseparable. And so, with an open and clear mind, Catholics may legitimately ask if AL represents a development in the Church's teaching on this issue. Perhaps the Church's theologians need some time to grapple with this question; after all it was the pastors (bishops) of the Church—not the theologians—who raised it. I do not presume to be able to answer it. But the sincerity and preciseness with which the four cardinals have presented their five dubia to Francis, suggests to me that the prospect of development here does not sit well with everyone. In any case, the discussion will not be over any time soon. Now, let’s turn to the second part, a reflection on why Catholics should not be fearful of what is happening. Perhaps it sounds like a truism, but I believe there are very good reasons for welcoming and implementing Pope Francis’ teaching, AL, which is the fruit of the synod. The most pointed of these reasons is as follows. When I read AL, a particular Gospel story comes to mind: Luke 7:36-50. 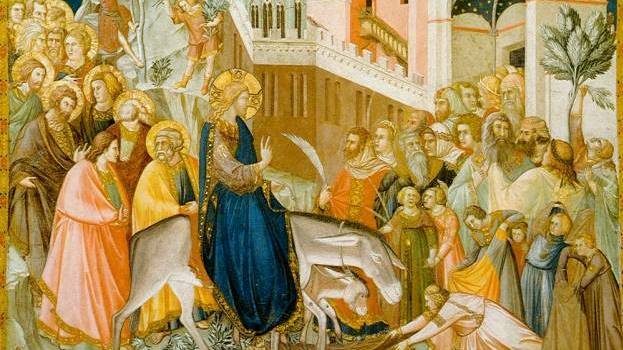 Here Luke tells of a remarkable encounter between Jesus and a sinful woman at the house of Simon the Pharisee. Jesus’ approach to sinners is very much reflected in AL. It comes from a belief, as Jesus had, that a sinful person is more likely to change their life if they encounter gratuitous mercy and forgiveness, rather than a law before which they stand condemned. It is an act of faith expressed by Jesus, and by Pope Francis, that if a door is opened just a little bit, God can swoop in and change any situation. It may be risky, and it will inevitably lead some to fear the integrity of the law is being compromised, but it is a risk worth taking if a person who was lost can be found, who was broken can be healed, who was dead can be brought back to life. 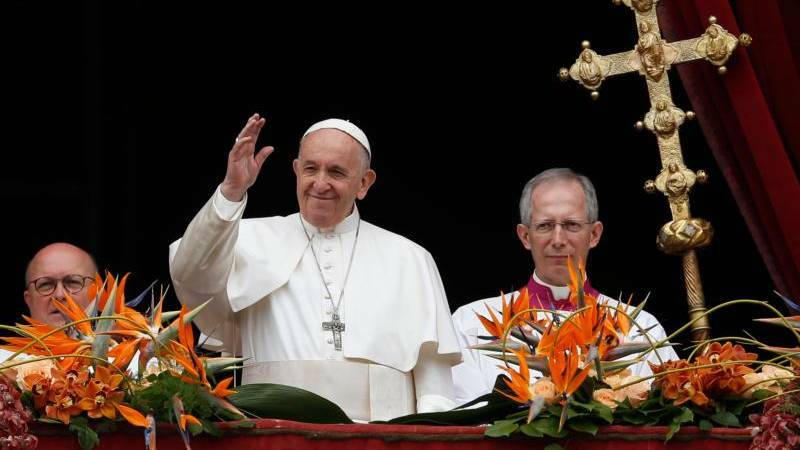 In the case of the Church’s pastoral approach to persons in irregular situations today, such as the divorced and civilly remarried, the majority of the world’s bishops including Francis desire a closer alignment with the approach of Jesus. Rather than creating a dangerous ‘slippery slope,’ whereby the Church’s teaching about the indissolubility of marriage is compromised and widespread confusion is unleashed, enacting such pastoral mercy can foster unexpected personal transformations and gestures of love! That, at least, is the story of Jesus and the sinful woman. The current AL debate reflects this particular Gospel story in yet another way. Luke is not telling the story of the sinful woman. Though she is a main character, her “many sins” are not even mentioned. Rather, Luke is juxtaposing two very different pastoral approaches: that of Simon and that of Jesus. 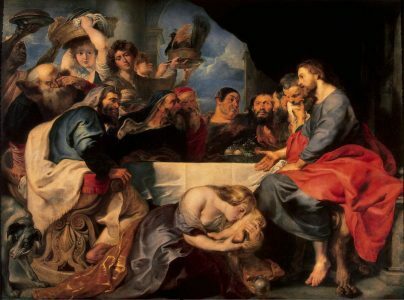 Where Simon, as a good and faithful Pharisee, would condemn the woman by invoking the law, Jesus restores her dignity by offering mercy, despite her many sins, whatever they were. AL is very challenging in this regard: it asks the pastors of the Church to evaluate their own pastoral attitudes in light of the Gospel. While this is invariably difficult, it should not lead to fear. The Church should not be afraid of being more like Jesus. #308: “At the same time… without detracting from the evangelical ideal, there is a need to accompany with mercy and patience the eventual stages of personal growth as these progressively appear, making room for the Lord’s mercy, which spurs us on to do our best. I understand those who prefer a more rigorous pastoral care which leaves no room for confusion. But I sincerely believe that Jesus wants a Church attentive to the goodness which the Holy Spirit sows in the midst of human weakness, a Mother who, while clearly expressing her objective teaching, always does what good she can, even if in the process, her shoes get soiled by the mud of the street. #311: The teaching of moral theology should not fail to incorporate these considerations, for although it is quite true that concern must be shown for the integrity of the Church’s moral teaching, special care should always be shown to emphasize and encourage the highest and most central values of the Gospel, particularly the primacy of charity as a response to the completely gratuitous offer of God’s love. At times we find it hard to make room for God’s unconditional love in our pastoral activity. We put so many conditions on mercy that we empty it of its concrete meaning and real significance. That is the worst way of watering down the Gospel.